we stay by your side. Because the healing process is not quick, we are here for the long term. 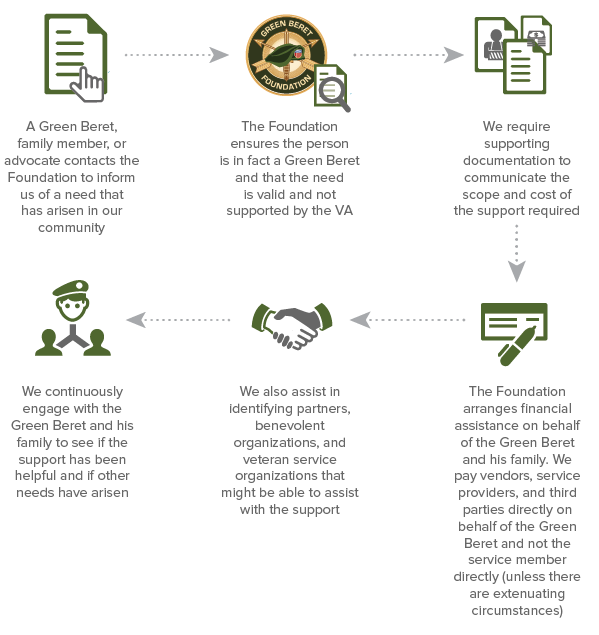 When a brother needs extended assistance, the Green Beret Foundation can provide financial help, advice, and referrals to support the soldier and his family.